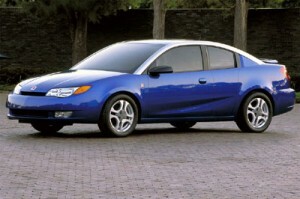 Ahh, the Saturn Ion. Possibly the best example of taking something that already wasn’t very good and making it much, much worse. Hardly a worthy successor to the mediocre S-Series models, the Ion represented the very end of the line for “unique” Saturn products, as everything that came after had a twin somewhere else in the automaker’s dominion. But while the Ion was bad, its roof rails were even worse. When the Ion was launched in 2003, it offered interchangeable roof rails that could be ordered in various colors to suit your mood. The press cars were all blue with silver roof rails and four-spoke wheels, which were tremendously unsuited to anything except a really cheap Saturn. Unfortunately, the Ion wasn’t a really cheap Saturn: an Ion 3 with the roof rails cost around $17,000 with shipping. Back then, you could (barely) get a Toyota Camry for that. 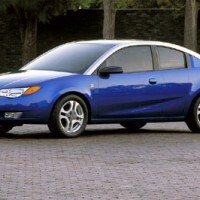 The Ion also had a rather dull 2.2-liter engine, and, most importantly, the worst interior in the business. But I’ll always remember the silver roof rails that set the Ion apart on the road from all the people who bought normal, respectable cars. You still see them from time to time. I wonder if GM still sells replacements? Just in case you want the world to know your mood has changed. Remember the old days when you would salivate just waiting for the latest Car & Driver to show up in the mailbox? Ok, maybe it was just me. But I do remember them reviewing the Ion and essentially saying “We waited 7 years for this?”. Opportunity wasted, although I’m sure internally GM already had Saturn’s endgame mapped out.